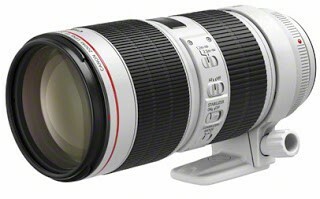 Canon has today announced an upgrade to two of its most well-regarded L-series lenses, with the launch of the EF 70-200mm f4L IS II USM and EF 70-200mm f2.8L IS III USM. Mr.Nitivat Vajanavaranan, ASSISTANT SALES DIRECTOR, ICP SALES & MARKETING-CONSUMER SALES, Canon Marketing (Thailand), said: “The lens upgrades were completed following feedback from its global community of photographers. To further empower them in creating powerful imagery, we have made significant improvements on the versatility, usability and maintainability of our L series lenses. So we are very proud to be introducing these two lenses. 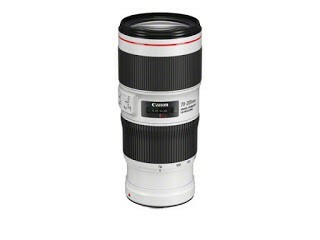 The EF 70-200mm f/4L IS II USM epitomises the very finest in L-series optical technology, whilst being compact in size, robust and lightweight, and the EF 70-200mm f/2.8L IS III USM offers unbeatable performance, versatility and durability." The first version of the EF 70-200mm f4L lens is one of our firm favourites and is the go-to lens for much of vary photography (there haven’t quite been fights over it, but you’ll never find it in the equipment cupboard!). So we’re excited to see what the Mark II version, plus the new f2.8 lens, are capable of. The EF 70-200mm f4L IS II USM comes supplied with the dedicated lens hood ET-78B and is available from July 2018, with an optional tripod mount ring AII (WII) available separately. The EF 70-200mm f2.8L IS III USM comes supplied with a dedicated lens hood, tripod collar and lens bag, and will be available from September 2018.